"..a collection of memoirs—the unfiltered memories of some of the women who founded the Women’s Center and benefitted from its existence." 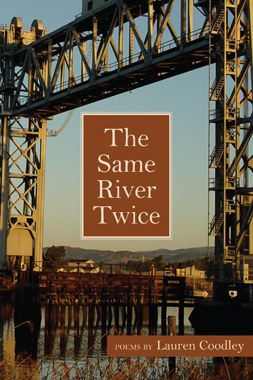 Lauren Coodley’s "The Same River Twice" honors the people and places that have shaped her life. This book is her first collection of poetry--a memoir in verse that begins with her earliest recollections and moves all the way into the present. "In the midst of great change and sudden disasters, as bulldozers ravage the orchards of Napa and old friends die, Lauren Coodley writes of the stubborn determination of ordinary women to lead lives of beauty and meaning in passionate, lyrical poems of mourning, courage, persistence, survival, and celebration." ". . . I read a little at a time, savoring bright epiphanies. Lauren Coodley has a fine sense of rhythm and timing, but more importantly she has a sense of moments passing, flashbulbs of joy, of sorrow and of shame. She draws the reader into the work, letting them squeeze the grape of each line and savor the "sweet juice to wash the dirt down."" "Her compassion for people, acute powers of observation, and fine sensibility to the power of words and metaphor all contribute to this new collection. Her poems powerfully sculpt her life the way she once tried to sculpt her body with all its “hungers” (“Body Sculpture”) and reflect the wisdom she has gained through women mentors, friendships, solitude, and growing sense of mortality. Coodley’s collection sings: read it and enjoy!" 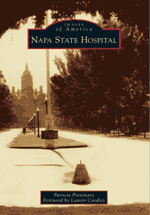 Available from Napa Bookmine, The History Press, Copperfields Books and at the Napa Valley Wine Train station. 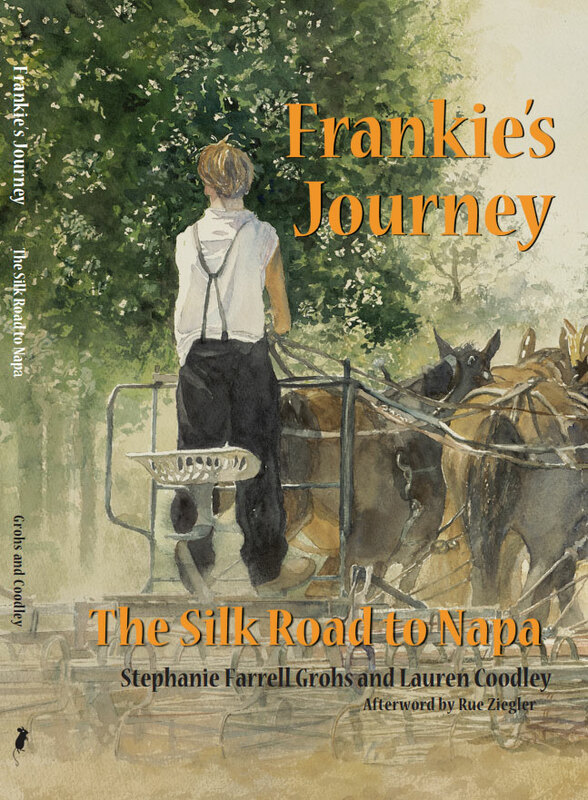 "Lauren Coodley’s “Napa Valley Chronicles” is a book that crosses a number of genres and literary traditions. Part storytelling, part “oral history” and part personal memoir, the chronicles seem designed to become a kind of future cultural artifact of a valley that is on a journey of unrelenting transition. It is a book of literary snapshots – snippets and images – rapidly threading its way from the 19th and 20th centuries, and onto the very threshold of the 21st century."... "Published in 2013 by The History Press, the book succeeds in creating something that is truly unique: a kind of historical travelogue of Napa Valley characters who flicker in and out of focus like the portraits of an animator’s flip book. It’s a good and nourishing read with lots of historical photos." "I love the book! I got five copies through Amazon.com, and have already given some away, but I need more for some more members of my family. Of course, I loved to see my mother Phyllis King brought to life in the book, but I'm fascinated by every chapter. It's so interesting to see history told through the eyes of some less usual sources... women, minorities and ordinary people. You get a real feeling for the changes that occurred throughout the years in Napa, and how they affected everyone. Some stories are told from your personal point of view, which makes them very engaging. When you express nostalgia or regret for changes and transformations that occurred over time, it adds a real depth of feeling to the book. Great job!" 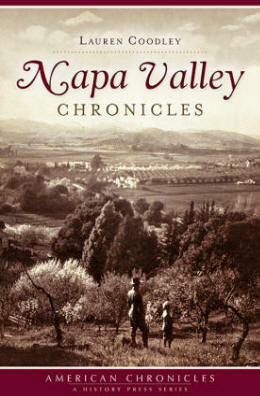 "From the extraordinary front cover photograph of Napa a century ago as farmland and orchards to the shimmering painting on the back cover, Napa Valley Chronicles is a delightful book. California historian Lauren Coodley has woven a rich and varied tapestry of stories and photographs from the 19th century to the present. Although I lived in Napa for 17 years and many of the names in this book are familiar, I never knew most of this history, including that Napa had a Chinatown, a Little Italy, and a neighborhood where descendants of the Mexican land grantees lived on streets bearing their names. (Full disclosure: my description of Terrace Drive, where I lived, is included in the book). I loved learning about pioneer women who farmed and raised livestock, Japanese laborers, a nurse at the Asylum (as Napa State Hospital was called), tannery workers, feminist leaders, and the many other ordinary people who are given a voice. This is people's history at its broadest and best." "Upton Sinclair’s novel Oil! was the basis for Paul Thomas Anderson’s film There Will Be Blood, and director David Schimmer has spoken of adapting Sinclair’s most influential novel, The Jungle. But who remembers that the muckraking author took an active hand in filmmaking? 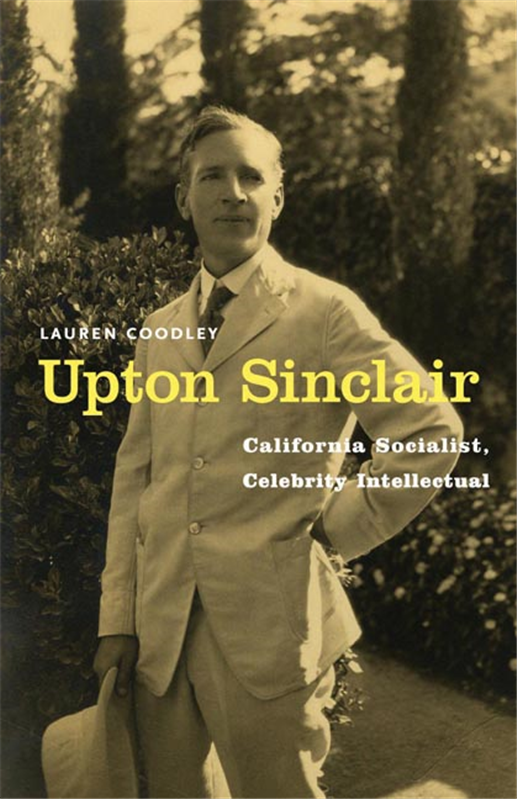 That’s one of the revelations in Lauren Coodley’s cogent, critical biography, Upton Sinclair: California Socialist, Celebrity Intellectual (published by University of Nebraska Press)..."
"Perhaps you’ve seen the bumper sticker: “If you’re not outraged, you’re not paying attention.” Upton Sinclair was paying attention. This biography is a balanced but sympathetic look at the idealistic, passionate man who wrote The Jungle when he was just 25. ... Coodley emphasizes Sinclair’s support for temperance and women’s suffrage (and other feminist issues, including housework and childcare), and she shows how those issues fit together in the early 20th century. ... I enjoyed this well-edited account, which moved right along without undue verbiage, and yet gave a rounded, insightful sense of Sinclair and his times"
Also available for purchase at the Napa Valley Museum, Yountville. Available now from Napa Bookmine, Arcadia Publishing, Copperfields Books and the Napa Wine Train station. Napans tend more than grapevines. The area's diverse soil and mild climate make possible a generous yield of agricultural products. 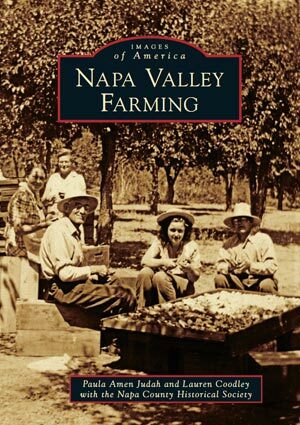 This book traces the cultivation of these products through a chronology of Napa's farming history, from indigenous food plants to the orchards that were planted to feed gold miners -- orchards that would soon function as both therapy and sustenance for the patients in the newly created Asylum. Immigrants from Italy and Germany and Japan and China joined newly emancipated slaves and Mexican citizens who had settled here before the Treaty of Guadalupe Hidalgo. Together they cultivated the land, picked the fruit, nuts, and hops, cut the wheat, kept bees, and tended livestock on dairy farms and cattle ranches. Each chapter begins with a poem inspired by farming or a recipe reflecting the valley's bounty. The scents of peaches, apples, cherries, pears, prunes, and honey linger in the imaginations of thousands of locals, while the trees, hives, and vines continue to thrive wherever placed.